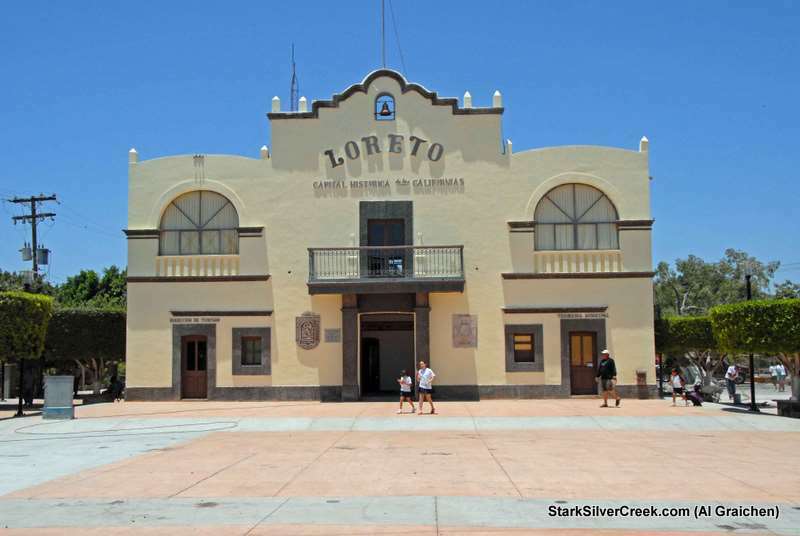 Loreto Baja June Update: City Hall, new paint job. Hola Amigos. 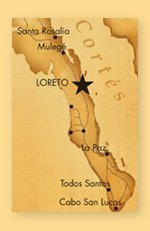 My trip to Loreto this month was semi-uneventful. I drove from San Francisco to San Quintin in about 13 hours thanks to a bit of a delay in LA traffic and a checkpoint inspection in Tijuana even though I got the green light. 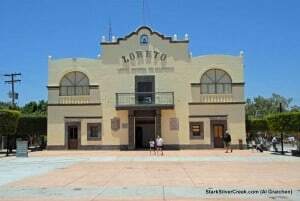 Then from San Quintin to Loreto it took about 12 hours with easy driving. We had enough time to unpack the truck and head back to town for a leisurely dinner at Domingo’s before the “evening crowd” arrived. Loreto Bay, now under new HOA management (Associa), is moving forward fast. The Associa management has met with local authorities and Fonatur with favorable results. The actions will speak better, but the word is that the Paseo will be cleaned up (including the palm trees that need trimming) and possibly some pavement. Time will tell, but the words being spoken are in the right direction. Future owners (Homex has purchased the lands not currently developed) will be in the area north of the existing Agua Viva section will hopefully join in the efforts to improve the community. Associa has plans to meet with Homex to see just where they will be “standing” in the community. Walking around downtown Loreto I spied a new restaurant. El Papagayo is located just down the “street” from Nellie’s real estate office on the walking section of Salvatierra. It is part of the Medetraneo “chain.” Word on the street is that the food is good, the service is good, and the prices are definitely better than Medetraneo. I’ve not eaten there yet so a review will be forthcoming. 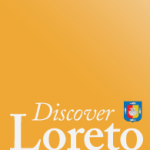 The Loreto City Hall appears to have a new coat of paint. It’s no longer stark white now. The cream color looks good but I really think it looked better in white although with the new look of the plaza it seems to fit in. 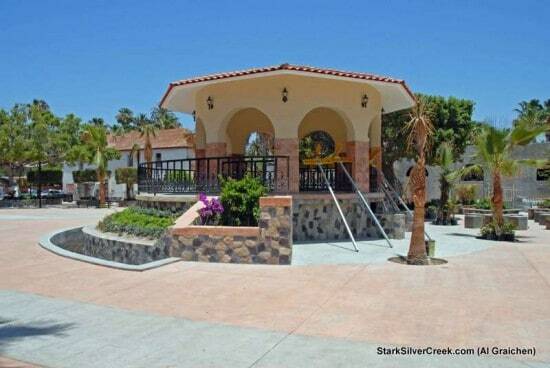 The Homex homes are a stark contrast to the existing homes in Loreto Bay. It will be interesting to see what they look like once finished. The structure on top is interesting. I have not talked to any of the Homex people as yet so I’m hoping to find out just what that room like appendage is on the third floor. 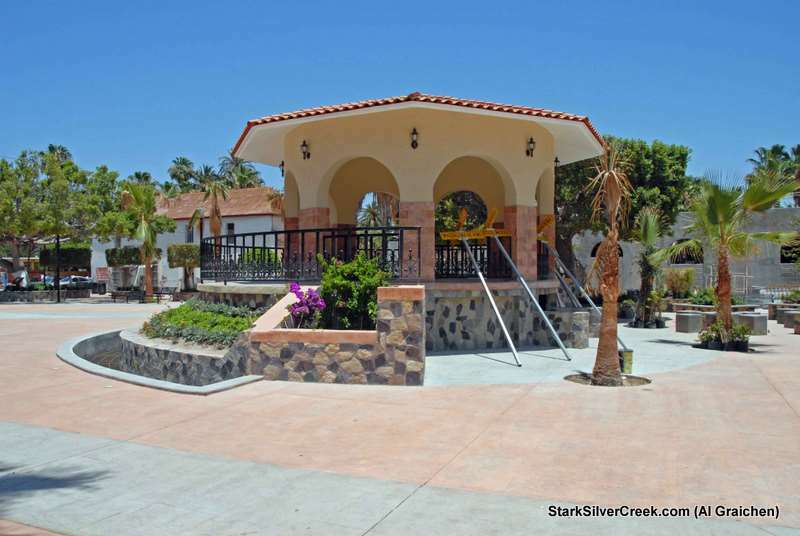 Loreto Baja June Update: Updated plaza. 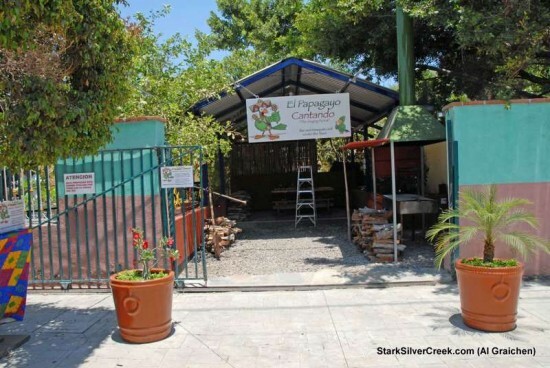 Loreto Baja June Update: El Papagayo restaurant. 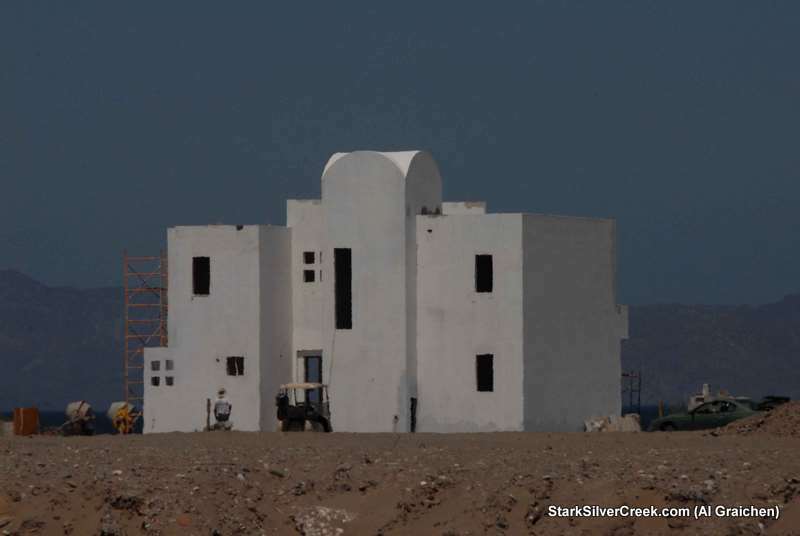 Loreto Baja June Update: Homex construction.